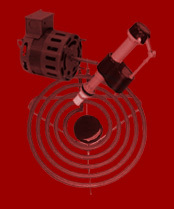 The Ultimate in Fire Protection for Your Home or Business. 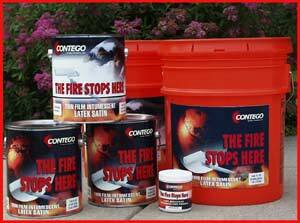 Contego protects most building materials from the ravages of fire. Contego intumescent fire barrier products are all non-toxic, non-dermatic, and safe for pets. When exposed to fire, Contego fire retardant coatings expand to form a tough char barrier fire cannot penetrate. Deprived of fuel, the fire quickly dies. Contego not only helps prevent fires, it minimizes deadly smoke production, one of the leading causes of fatalities in residential and commercial fires. Intumescent fire barriers are nothing new, but Contego Passive Fire Barrier Latex represents a quantum leap forward in terms of quality, versatility, affordability and fire safety---all in one truly impressive fire proofing product.